Soft and silent the snow twinkles in the moonlight. Each little tiny bead is unique. 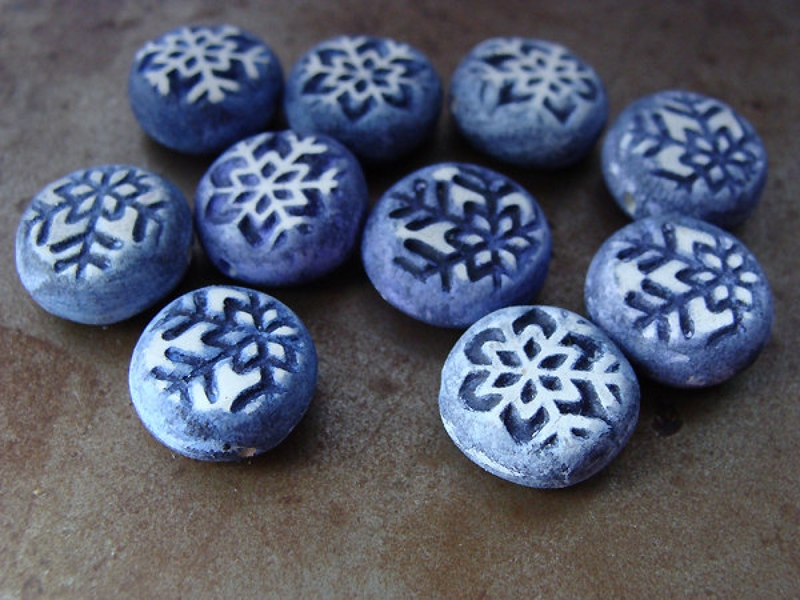 These are so sweet and would work for a bracelet charm, a small pendant or grab two and make a pair of snowflake earrings. These are small! 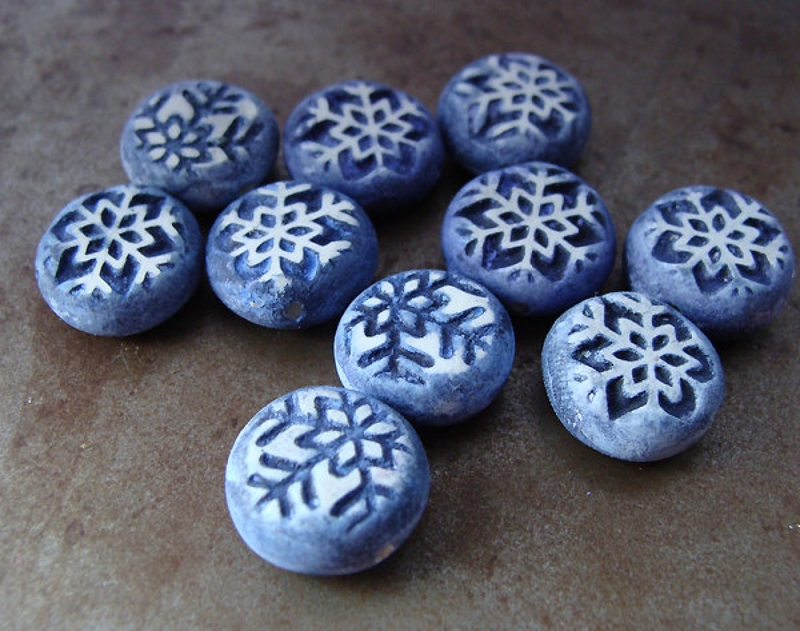 Beads measure 1/2" wide and 4-5mm thick. A hole is drilled horizontally through the bead.